DIFRC hosts a monthly meeting called the Seven Stars Collaborative. This meeting was initiated in February 2015 and followed the tradition of DIFRC’s former Service Delivery and Advisory Council meetings. 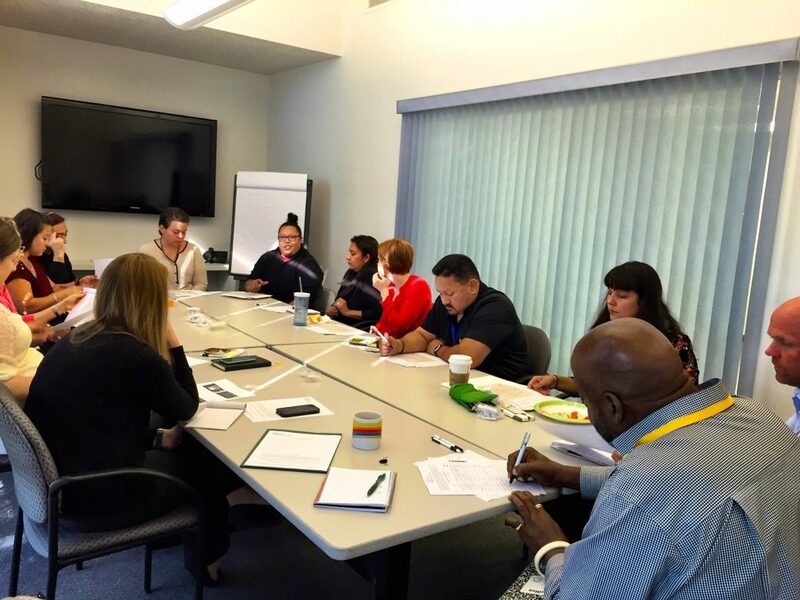 Collaborative meetings are open to community agencies in the Denver metro area that are looking at increasing their cultural awareness and responsiveness towards the American Indian/Alaska Native population. About 20 agencies come together to attend each meeting and share information about their programs and services while learning more about programs and services available to the American Indian/Alaska Native community. Additionally, each meeting involves a cross-training provided by DIFRC staff and a cross-training provided by an external agency. Meeting attendees have reported strengthened partnerships with DIFRC and other American Indian/Alaska Native agencies as well as heightened cultural responsiveness when working with Native families.